To begin with, nobody near Alex knew anything about diagnosing dysgraphia. They knew Alex was failing social studies because the tests came from the notes the teacher wrote on the board. Copying notes from the board was so difficult that Alex couldn’t read them. If that weren’t bad enough, Alex had no idea what the teacher was saying because trying to write the notes was all consuming. Secondly, he was failing English because of the papers he wrote. The teacher insisted on having his students write in cursive. Now Alex was penalized for poor penmanship and poor grammar, spelling and punctuation. Thirdly, he failed math because he couldn’t keep numbers lined up nor read his own writing. Finally, he was failing science because his grade depended on written lab reports. So, Alex never did them—too much writing. Alex is smart. So what’s going on here? Alex has dysgraphia, a learning disability that makes writing difficult. Diagnosing dysgraphia isn’t common knowledge. Children with dysgraphia can sit in front of a blank piece of paper or computer screen. Three hours later the paper or screen are still blank. These kids often have wonderful and creative thoughts but can’t get them onto paper or a computer. They can tell you what they want to say but are unable to write it. For some, writing is such a slow and tedious process that they don’t have the patience to sit still long enough to write. Other kids will write fast and furiously, skipping words, getting sentences and paragraphs in the wrong order. Often they can’t read their own handwriting. The end result is the same: poor grades and an aversion to writing. Use a computer. Encourage your child to use a computer when at all possible. Kids who write too fast and whose handwriting is lousy often do well on a computer—especially as they become proficient at keyboarding. Set up short practice sessions. For young children, practice writing individual letters, words, sentences, or short paragraphs. Keep the sessions appropriate (in subject and in length) to your child’s age, maturity level and personality. For example, 5 to 10 minutes for 6 year olds because they are just learning how to write, 15 to 30 minutes for 7 – 10 year olds, 30 to 45 minutes for middle schoolers and and 60 minutes and more for high schoolers. Depending on their maturity level, personality and desire to write, more time is great. But for the struggling writer, more time may be counterproductive. My book “How to Improve Writing Skills” helps children with writing challenges. Help with spelling. During a writing session, if your child has trouble spelling, spell the words for her. If the primary goal is writing, stopping often to look up a word interferes with the creative process. Or encourage her to ignore spelling until the draft is written. Use the spell-check function of your computer’s word processing program. Have your child tell you what he wants to write about. Then write his thoughts on paper. This can be in list form, on a web (main idea in the middle of a circle and thoughts are on spokes coming out of the circle), or outline form. Then decide together which ideas should be in the beginning of the paper, which should be in the middle and which should be at the end. Number the ideas and cross out the ones that do not belong. 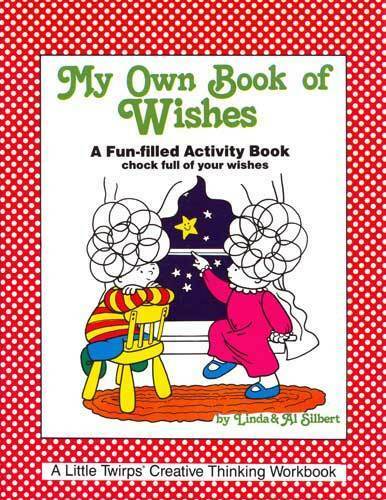 Then have your child write or type the final copy by writing one thought after the other. Try to avoid making your child rewrite excessively. Forcing a child to do so is drudgery that often turns him off to writing. Remember your child’s maturity and appropriate skill level for his grade. Dysgraphia can certainly affect children’s grades, test scores, and even their attitude toward school. If you suspect that your child may have dysgraphia, talk to your child’s teacher about diagnosing dysgraphia and see what can be done in the classroom. You’re right. People with dysgraphia really struggle. They need to learn strategies that will help them deal with a writing disorder. There are many computer programs in which the writer simply speaks into a microphone and the writing is done for them. Thank you. The story at the beginning of this page was mine in grade school thru high school. I love learning but hate writing. In grade school it was tears and tantrums for the hours spent on spelling lists I would never get. High school was failing in a class that was a passion because a teacher who didn’t understand that no matter how intent I was on the notes I would never have them all for the test. As an adult I have been embarrassed at work because others can’t read what I write. 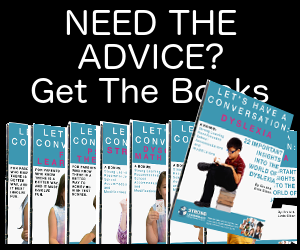 Everyone knows about dyslexia its even in my spell check but dysgraphia isn’t. I beleive I have dysgraphia and i can not seem to convince my parents that i do My grades are always bad because i can not copy notes i can not write I have simply taken to learning it on my own. But in my 4 AP classes i can not even spare time for this as I have 9 clubs and am the president of 4 and My teachers always say I am lazy and that i have to copy notes but if i copy them i dont understand and if i dont copy them my memory is great but on open note Quizzes or quizzes in which are soley based on the exact words of the teacher I end up failing or for skipping steps in math. If i say my hand hurts than teachers simply feel like I am lazy What should I do? I strongly suspect dysgraphia in my 14-year-old son (I won’t go into all the details, only let you know that everything I read about hits home and I can check off every symptom). We are homeschooling, but our local district agreed to work with us. They asked him a few questions, had him draw a diamond, a star and a square, and then suggested Dragon or other voice recognition software. And keyboarding, of course, which he struggles with. All great, but another district that has a program he wants to participate in said he would have to be officially diagnosed as dysgraphic by someone like a doctor. A physician doesn’t seem like the right choice. What sort of professional would we consult with? A psychologist? Thanks much. We are looking at buying your book as part of our strategy to help him. Thanks for your comment. You are quite right that pediatricians aren’t qualified to diagnose dysgraphia unless this problem stems from an actual medical condition. Your son can be diagnosed by an education specialist who can administer a test for dysgraphia. You can also look for a private tutor who is qualified to administer the test. The test score should be sufficient for him to qualify for special help. Ask the school districts you are in contact with if they will give him the test even though you are homeschooling. 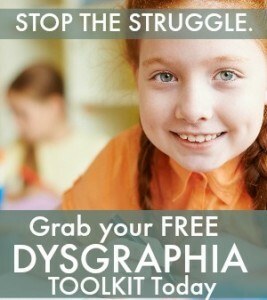 And be sure to download the Dysgraphia Toolkit. It’s free, and has good activities that you can use to help him. What is the “test” for dysgraphia? WISC, WJ III or are there other specific tests? How do i tell if my child has this disgraphia or if its because she is just learning to write. She is 5 yrs old and just started school (kindergarten) for the first time. We were told by our son’s behavioral and diagnostic pediatrician that he has generalized coordination disorder, but from everything I have read he has dysgraphia. I asked her was she able to test/assess him for this and she said no…try an OT. But everyone we have called said No they don’t test for it…so where do we go to get the diagnosis. I live in Rural North Carolina. There just are not many options here. I think I have had dysgraphia all my life, I was always told that the problem was that I was lazy. Remember having handwriting problems since kindergarden. Always has been very painful to write. I quit trying to pursue a teaching career, and have passed up teaching jobs because of this. Just cant beleive that no one ever took the time to diagnose my problems.